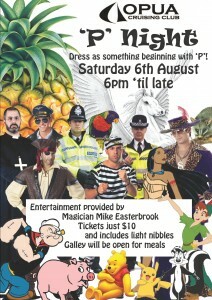 It’s ‘P’ Night at the Club on Saturday 6th August! (And no, it’s not what you’re thinking…!) Dress as something beginning with P! Of course. 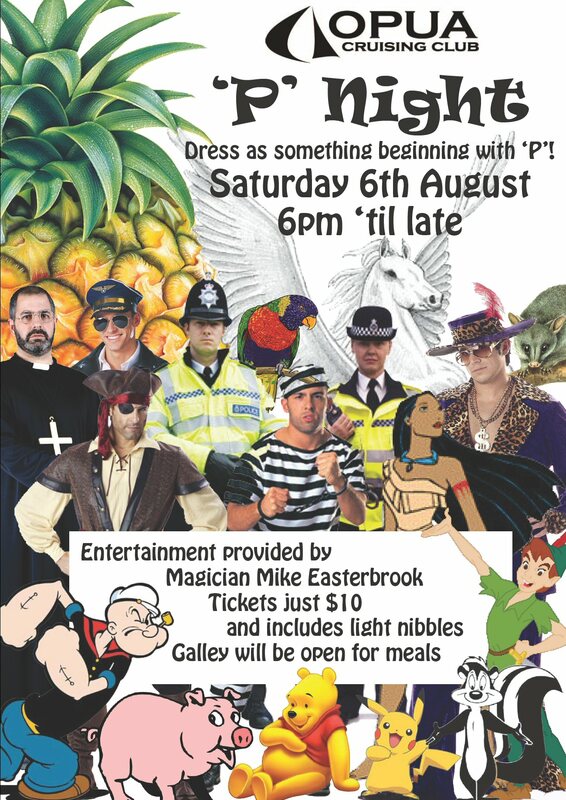 ;-) Tickets only $10 and include light nibbles, plus entertainment will be provided by Mike Easterbrook the Magician. Please note also the change of date – P Night was listed as 13th Aug in the last issue of Tell Tales, but this is incorrect – it will be 6th Aug.